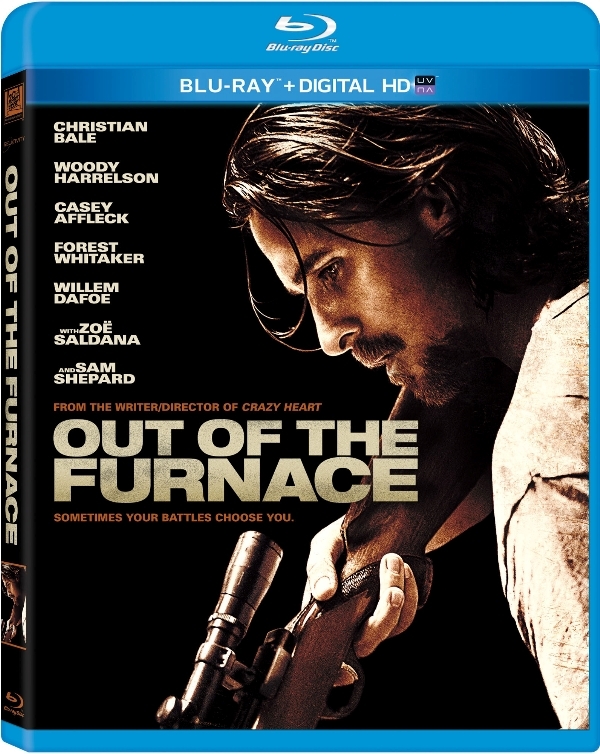 Out Of The Furnace Blu-Ray Giveaway - Are You Screening? 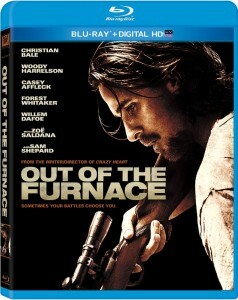 Out of the Furnace hits on Blu-Ray March 11th, and I’ve got a copy available for you to win. With all the hype surrounding awards season, and Christian Bale’s other film, American Hustle, his earlier release hasn’t received a lot of attention recently. Because it hits so close to the Academy Awards show, I wanted to make sure it doesn’t slip by unnoticed. We didn’t give it the best rating when we reviewed this one on the podcast, but it has a lot that makes it worth watching. Mainly, Bale’s acting, but the rest of the cast does a solid job as well. You may already know that I’m a big fan of Bale’s, and this is a film that really offers up good reason to be. Even in a film that didn’t blow me away, he is still impressive to watch. Get the scoop on the release below, as well as a quick rundown on some of the variety throughout Bale’s career, and don’t forget to enter to win. From Scott Cooper, the critically acclaimed writer and director of Crazy Heart, comes a gripping and powerful drama about family, fate, circumstance and justice. Russell Baze (Oscar® Winner Christian Bale*) leads a dead-end life – he works a meaningless steel mill job all day, and cares for his terminally ill father at night. When Russell’s brother Rodney (Casey Affleck) returns home from Iraq, he is lured into one of the Northeast’s most ruthless crime rings and mysteriously disappears. When the police fail to solve the case, Russell puts his life at risk in order to seek justice for his brother. This absorbing film features a knockout cast that includes Woody Harrelson, Forest Whitaker, Willem Dafoe, Zoe Saldana and Sam Shepard. In honor of the March 11th Blu-ray and DVD release of OUT OF THE FURNACE we’re taking a look at some of the most distinctive styles of the chameleon actor. 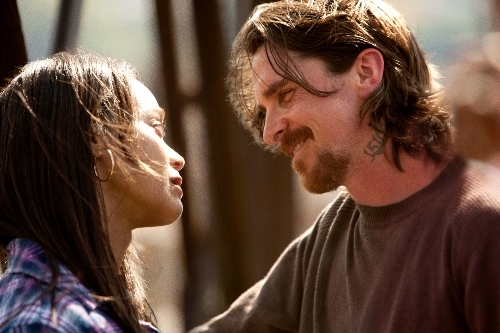 In Out of the Furnace, Bale plays Russell Baze, a down-on-his-luck steel worker in a small town in Pennsylvania. The long, stringy hair, unkempt facial hair, oversized clothing and conspicuous neck tat make him look the part of a working class hero who may have had one too many run-ins with the law. Perhaps Bale’s most extreme transformation to date was in Disney’s 1995 feature Pocahontas. The role of Thomas, best friend of Captain John Smith, saw Bale altered into a breeches-wearing red-head. Let’s hope Bale doesn’t try to recreate this look on the red carpet any time soon! Check out Bale’s look (and his incredible performance) in Out of the Furnace, available on Blu-ray and DVD on March 11th.